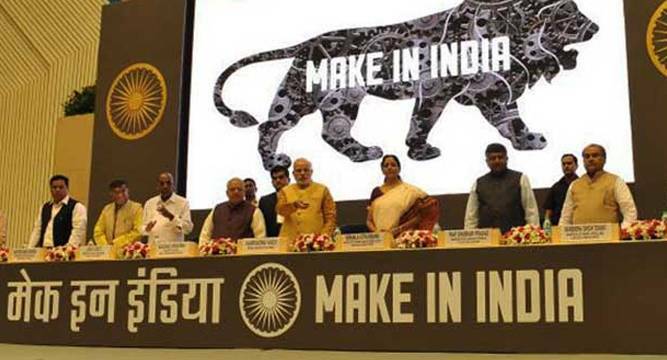 Over 190 companies, including multinational corporations, 5,000 delegates from 60 countries, and leading industrialists including Ratan Tata and Mukesh Ambani will be participating in the maiden ‘Make in India’ week to be held here from February 13. Aimed at attracting investments, the week will be inaugurated by Prime Minister Narendra Modi, and will also see a focus on government-to-government interactions, with four head of states from across the world and 12 Indian chief ministers in attendance. It will also have sector-specific seminars. A total of 13 Union ministers, including Arun Jaitley, Nitin Gadkari, Ravi Shankar Prasad, Nirmala Sitharaman and Piyush Goyal, among others are also expected to be present. More so, 17 Indian states will be present at the week and some like Gujarat, Madhya Pradesh, Haryana, Odisha and Punjab will also have dedicated state-centric sessions. At a curtain-raiser press conference, Commerce Minister Nirmala Sitharaman said the week is inspired by Germany’s Hannover Messe, one of the largest industrial exhibitions in the world. She said officials from her ministry were at Hannover last September and have tried to put together an event on a similar scale at the city’s prime business district of Bandra Kurla Complex. The minister said the event comes at a very opportune time when India is poised for good growth and stands out as a country being able to maintain growth at over 7 per cent, amid struggling peers in the BRICS like China and Brazil. The week, which follows the launch of ‘Make in India’ campaign by the government in December 2014, comes amid depressed economic conditions in geographies such as Europe, she said. It also comes amid an increase of 38 per cent in foreign direct investment inflows in India as against a negative 16 per cent growth for rest of the world, she said.